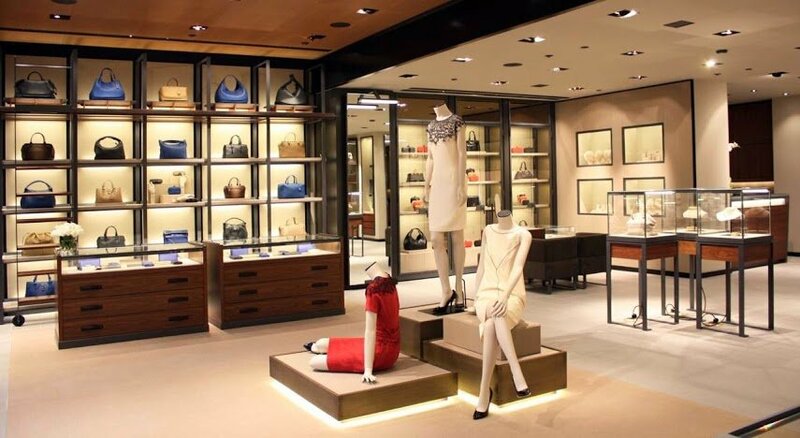 Luxury retail is often thought of as the sector most immune to digitization. Intuitively, there seems to be some truth to that. Having said all that, the narrative no longer seems to be true (if it ever was in the first place.) Today, many luxury brands and retailers are building their online presences more than ever, and the numbers are reflecting that. Online sales of luxury goods increased 13 percent in 2016, and, according to the consulting firm McKinsey & Company, those sales figures will likely triple in the next 10 years. By 2025, the firm says, the online share of total luxury sales will reach 18%. Boston Consulting Group and Bain & Co. have conducted similar studies with similar results. The evidence is everywhere though, not just in consultants’ reports on ecommerce figures. Consumers around the world are increasingly “trading up” to more expensive options (both online and offline), and while ecommerce sales numbers keep improving and taking more of those luxury sales, brick-and-mortar is going the other way. Storefront closures have risen over 200% YOY in 2017, and of the companies that have actually opened stores this year, the vast majority are lower-end retailers like Dollar General and Dollar Tree. Traditional brick-and-mortar hot spots for luxury retail, such as SoHo and other trendy neighborhoods in Manhattan, are seeing increasing vacancies where high-end stores once stood. In other words, people are buying higher-priced goods, and they’re doing it online far more often than ever before. So, with digital growing and physical stores losing popularity, where specifically is all this online luxury shopping taking place? For one, most brands today, whether they offer discount or high-end goods, have at least some ecommerce capabilities on their site where visitors can buy and ship items directly to their homes or perhaps to a nearby brick-and-mortar for pick-up. In addition to that, however, the last few years have seen tremendous growth in luxury retail online marketplaces. Retailers like Farfetch, Yoox Net-A-Porter, Moda Operandi, LVMH’s 24 Sevres, MyTheresa.net, and Maisonette are leading this trend, moving thousands of SKUs and receiving millions of website visitors every day. Yoox Net-A-Porter Group, which operates websites Net-A-Porter, Mr Porter, Yoox, and The Outnet, has been especially successful with its online luxury marketplace model recently, having reported an increase in net revenue of 18% YOY in 2016 (to about €1.9 billion) and an expected increase of 17%-20% in 2017. There are a couple reasons why ecommerce channels, including the online marketplace model, have taken off for the luxury sector, but to put it simply: there’s a will and there’s a way. With respect to the “will,” luxury shoppers today have a massive appetite for internet usage in general and online shopping in particular. That’s largely due to demographics—millennials, who are well versed in technology and used to shopping online compared to the older generations, are now reaching an age where they’ve amassed enough wealth to spend big on retail. In addition to millennials getting older though, the average age of luxury shoppers has actually dropped from 48 to 34, according to Maria del Carmen Fernández González, CEO of the Spanish ecommerce and marketing agency Infinitum Ecommerce. “These people with high purchasing power love technology, they’re all connected thanks to their iPhones and tablets. They love finding information and purchasing products online,” says Fernández. There are also increasingly better “ways” for luxury brands to reach these consumers. One of the most effective ways is through marketplaces. Brands and designers like Hermes, Chanel, Oscar de la Renta, and Jimmy Choo do have their own online stores, but the major benefit that they see in multi-brand online marketplaces like Farfetch is that they can get their products in front of millions of people around the world easily, inexpensively, and efficiently. Online marketplaces allow brands to reach uber-rich international consumers in places as far away as China, Korea, Dubai, and Russia who enjoy being able to browse hundreds of products from dozens of brands on one site. They also let brands reach busy 30-to-40-year-olds who have amassed expendable wealth but are in the midst of growing careers and raising families and might not have the time to bop around from store to store. Farfetch is a shining example of how effective a simple online marketplace connecting high-end brands with deep-pocketed shoppers can be. The company’s platform gets around 10 million views per month in 190 countries and sees an average order value of about $700. In 2016, that added up to $800 million in gross sales for Farfetch (a 60% increase from 2015), and it’s now rumored that the company will soon seek an IPO that could value it at up to $5 billion. As more millennials build their wealth and online shopping becomes even more democratized, the luxury ecommerce trend will undoubtedly grow. That tired narrative that claims luxury retail will never go digital is being proven false thanks to more brands investing in their online presence and online marketplaces like Farfetch and Net-A-Porter continuing their rise as top retail players. The internet is where the customers are—that’s true whether they’re in the market for a $60 dress or a $5,000 dress.